Most often, when a new pokie player signs up and deposits at one of the many pokies sites, they immediately want to get to the gameplay. The first step will be choosing which pokie one wants to play. But, before pushing that button, some preliminary steps need to be taken. 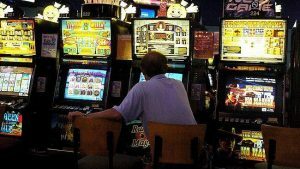 New pokies players often don’t understand that they have control over how much they want to wager. Each pokie machine is different. Some pokie machines will have a set bet, which means it cannot be changed, but most allow the player to adjust how much they want to wager. This is done on the interface of the pokie. The player will see an amount that the play is going to cost them. Besides this amount, there may be a plus or minus sign. This is used to increase or decrease the amount of the bet. Then there will also be, close to this, the number of coins being bet on each line of the pokie. The player can choose how many coins they want to bet on each line. So if the player selects a two-cent bet, this means they are betting two cents on each line. Something else the new player may want to do is to check out the pay lines. On the front of the pokie, there should be a pay line, that will take the player to another section of the pokie, that shows all the winning combinations that apply to that machine.